Owner Jeff Farnan has been with the Spec Shoppe since graduating high school in May 1983. The last 16 years have been spent at the Maryville location. Jeff and his wife Joan live near Conception and have five sons. 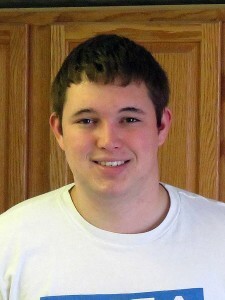 Jeff enjoys farming in his spare time, watching his boys basketball games, and traveling. 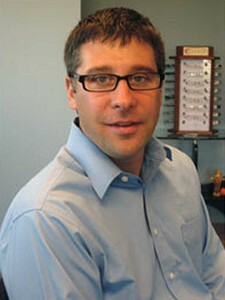 Dr. Gorman has provided therapeutic optometric services at the Maryville Spec Shoppe since 1999. She loves helping kids to see their best for every school activity and sport and prescribes contacts, glasses, allergy and dry eye therapy for their needs. In her free time, Kim and her husband Dave enjoy taking care of their pets. Dr. O'Bryan has provided therapeutic optometric services at the Maryville Spec Shoppe since 2011. He specializes in family eye care, contact lenses, co-management and diagnosis and treatment of ocular diseases. He and his wife Denise have two girls and they enjoy all summer water activities. Optician Stephanie Pride started working at the Spec Shoppe in November 2006. Stephanie lives in Ravenwood with her husband Travis and their 3 children. 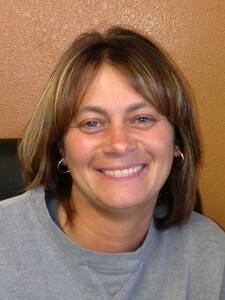 Stephanie enjoys coaching her sons little league baseball team, jogging, and going to the Corning Races. Lab technician Kellan Farnan worked on and off at the Spec Shoppe during high school and joined the team after graduation in 2010. Kellan lives in Conception Jct., living the good bachelor’s life.